As this semester winds down and you’re getting ready for the spring semester, now is a great time to take a second look at TNReady standards and resources to ensure your units and lessons for the spring are closely aligned. 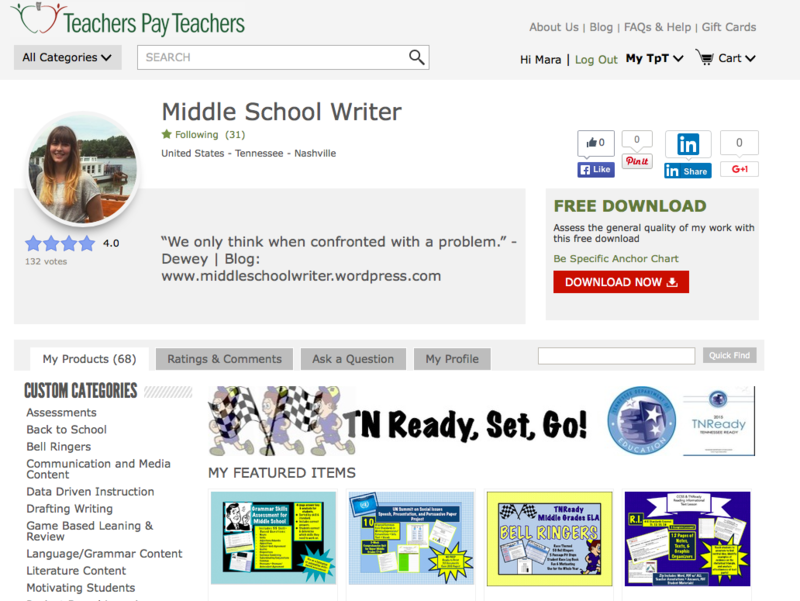 Remember that all resources for educators are now on eduToolbox and TNCore is no longer used. Tennessee tools for ELA Literacy Assessments are available by grade here. Once you select a grade, you will see additional resources, tasks, and scoring guides for your grade. These links aren’t the easiest to navigate and there’s almost too much information available. The vast majority of resources are downloadable documents, and a large amount are rubrics and scoring guides. There aren’t nearly as many item samplers and practice questions to use in your classroom, which I’ve found to be the most valuable state resources. Hopefully, there’s more to come in upcoming years. For now, I’m highlighting the best resources available through EduTools. For more no-prep TNReady-aligned resources, check out my Teachers Pay Teachers store, which includes assessments, lessons, projects, and more.